Are you moving to India? 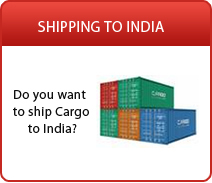 Are you Shipping boxes and Furniture to India? 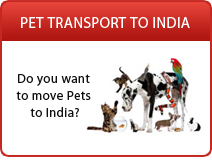 Are you Shipping Personal Effects to India? Are you Shipping Household Goods to India? 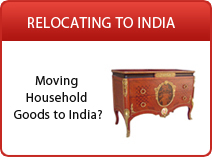 There are many challenges when shipping furniture and household goods to India. You have to start atleast 4 to 8 weeks in advance, you have to obtain quotes, you need to know the export customs formalities of the country you are shipping from, you need to be aware of the Indian import customs regulations etc. If you are not sure where to start or if you are looking to get a few estimates simply complete the quote request form and get free no obligation quotes from multiple service providers who specialize in shipping boxes and furniture to India.